Many communities are reeling from Hurricane Florence and the subsequent flooding. North Carolina Sea Grant’s thoughts go out to all the teachers, students, schools and informal learning facilities that suffered damage. We hope that you’re up and back to normal very soon! Providing students with a strong foundation in science and knowledge about our environment will help prepare them for future disasters like this one. Speaking of learning about our environment — the N.C. Office of Environmental Education and Public Affairs maintains a list of environmental education (EE) centers around the state. Please take advantage of all opportunities that these facilities offer you and your family. Check this listing to find an EE center near you. North Carolina Sea Grant has updated an old, but valuable, publication: Seacoast Plants of the Carolinas: A New Guide for Plant Identification and Use in the Coastal Landscape. Author Paul E. Hosier brings new perspectives, science and photographs to the topic. The book includes detailed profiles of more than 200 plants, and emphasizes the benefits of conserving and landscaping with native plants. Hosier’s new guide is now available in bookstores and online at uncpress.org. The Summer 2018 issue of Coastwatch magazine offers excerpts, including sample plant IDs and an extensive Q&A with the author. The online edition can be found at nccoastwatch.org. Thanks to Kimberly Belfer, Jason Brown, Melanie Buckingham, Carrie Council, Megan Davis, Melissa Dowland, Andy Gould, Stacie Hagwood, Ashely Hamlet, Kelli Isenhour, CC King, Gail Lemiec, Jennifer Metzler-Fiorino, Kyleene Rooks, Chelsea Sloggy, Renee Strnad, and Dana Thomason for their contributions to this issue. Wishing you all a wonderful fall season! The Walnut Creek Wetland Center is offering several professional development workshops for educators this fall. Register by going here and using the barcode numbers to search for the specific workshop, or by calling the center at 919-996-2760. All classes are free unless otherwise stated. Walnut Creek Wetland Center is an urban nature center located just a few blocks from downtown Raleigh at 950 Peterson Street. When: Wednesday, Sept. 26; 6:30 to 8:00 p.m. When: Saturday, Oct. 13; 10:00 a.m. to 12:00 p.m. When: Friday, Oct. 19; 1:00 to 5:00 p.m. When: Monday, Oct. 29; 10:00 a.m. to 3:00 p.m. When: Friday, Nov. 2; 9:00 a.m. to 3:30 p.m. When: Sunday, Nov. 4; 1:00 to 2:00 p.m. When: Monday, Nov. 19; 9:00 a.m. to 4:00 p.m. When: Monday, Dec. 10; 9:00 a.m. to 1:00 p.m. When: Saturday, Oct. 6; 9:00 a.m. to 4:00 p.m. Playful Pedagogy, presented by Linda Kinney of the N.C. Zoo, is an introduction to children’s play and playwork in outdoor environments. This program looks at the value of play and adult support of the playing child. Activities encourage deeper thinking into our role in children’s play, including risk assessment, free play and intervening in play. Participants will explore open-ended, creative ways to work with children outdoors, using approaches employed in the playwork profession. This workshop is a mixture of presentation, discussion, activities and outdoor play. EE credit available. Please click here to register. When: Saturday, Oct. 6; 10:00 a.m. to 4:00 p.m.
Project WET is an interdisciplinary water science and education program for formal and non-formal educators of K-12 students. The keystone of the Project WET program is the Project WET Curriculum & Activity Guide. The hands-on, supplemental activities are meaningful and relevant to children and are correlated with the 2013 N.C. Essential Standards for Science, Social Studies and Health Education for grades K-8 and for high school earth/environmental science and biology. The Project WET Guide is only available through a six-hour Project WET workshop. WET is a Criteria I workshop for the N.C. Environmental Education Certification Program and consists of six contact hours that may count towards CEUs for teachers. Participants should dress in comfortable clothes and shoes that are suitable for physical activity and that can get wet and dirty. Help keep our seas plastic-free by bringing a waste-free lunch and a reusable water container and/or coffee cup. For additional workshop information, call 910-772-0546. For assistance with registration, call 910-772-0542. When: Saturday, Oct. 20; 9:00 a.m. to 3:30 p.m. The North Carolina Aquarium at Fort Fisher presents Sea Turtle Exploration, a curriculum to help educators engage students in the fundamentals of STEAM through ready-to-use, standards-based lesson plans and sea turtles. Join the aquarium on Saturday, Oct. 20, for a hands-on teacher workshop that will guide participants through the new curriculum — aligned with the new Common Core standards – and website. Attendees also will learn about additional resources, such as weekly blog posts, that will be made available during the school year. Topics will include species profiles, aquarium staff spotlights, behind-the-scenes videos, new lesson plans and more. Students will even be able to follow the growth of aquarium hatchling sea turtles by visiting the blog each week! Please bring a reusable water bottle. You may choose to pack a waste-free lunch. Our snack shop, Shark Bites, will be open, and there are lunch options off-site. This workshop will count towards N.C. Environmental Education Certification (Criteria I) and consists of six contact hours that may count toward CEUs for teachers. For more information on these upcoming workshops or to register, please click here. The N.C. Museum of Natural Sciences offers a variety of educator programs throughout the year. Here are a couple of professional development options from the museum for the fall. When: Tuesday, Oct. 9; 6:00 to 8:00 p.m. Prepare, pin and mount a variety of spectacular tropical butterflies. Learn the various techniques used to catch and preserve these and other fascinating arthropods. Explore the possibilities of insect collecting in your backyard or school yard. Registration fee includes insect resource manual, pinning board, butterfly display box and numerous exotic butterfly specimens. Join us as we search for the majestic elk, reintroduced to the Smokies after an absence of more than 200 years. Sample activities used to document the biodiversity of the park. Discover how you can bring the excitement of field research into your classroom. *The cost of this trek is reduced thanks to a generous gift through the Friends of the Smokies. Because of this cost reduction, Friends of the Museum discounts are unavailable. Experience one of the greatest wildlife spectacles in North Carolina: thousands of tundra swans, snow geese and other waterfowl over-wintering in an area rich in other wildlife, including black bears, bobcats and red wolves. Learn winter bird identification, tips on preserving tracks and signs, and ideas for incorporating wild creatures into your teaching. Looking for other opportunities? For information about additional teacher education programs, contact Melissa Dowland at 919-707-9898. When: Wednesday, Oct. 17; 10:00 a.m. to 4:00 p.m.
RSVP: Please call Sylvan Heights Bird Park at 252-826-3186 to reserve your space. Ages 16 and up; space is limited! Join North Carolina artist E. M. Corsa to discover birds in a whole new way through field sketching. This workshop will highlight simple tips on working from nature, whether you focus on birds or any other subject. Instructions will benefit both beginners and advanced artists alike. Explore avian diversity as you learn to draw live birds, feathers and eggs at Sylvan Heights Bird Park, the country’s largest collection of living birds. You will never look at a bird in the same way again! The workshop will be held mostly outside, so dress for the weather. Participants will be responsible for providing their own lunch. A class supply list will be emailed to participants after registration. Since 1976, Project Learning Tree (PLT) has been using trees as a lens into our natural and built environments to teach students “how to think, not what to think” about complex environmental issues. Check out this short video to see some activities in action and hear from students and teachers! When: Wednesday, Oct. 24; 8:30 a.m. to 3:30 p.m. The PLT activity guides are provided free of charge to participants through support from the N.C. Forestry Association. CEU renewal credits are available. This workshop qualifies for Criteria I in the EE Certification Program. When: Monday, Nov. 12; 9:00 a.m. to 4:00 p.m.
Join other classroom and informal educators as we explore activities in the Project Learning Tree K-8 curriculum guide and the secondary module, Focus on Forests. Participants will receive copies of both curriculum guides, which are correlated with the N.C. Standard Course of Study and Essential Standards. Questions? Contact Andrew Snyder at andrew.snyder@ncagr.gov or 919-542-1154. When: Saturday, Nov. 17; 9:00 a.m. to 4:00 p.m.
Join other K-8 classroom and informal educators as we explore activities in the Project Learning Tree K-8 Curriculum Guide. Every participant will leave the workshop with the PLT K-8 Activity Guide, which includes 96 activities correlated with the N.C. Standard Course of Study and Essential Standards. Trick or Treat Under the Sea! Trick or Treat Under the Sea (TOTUS), that spooky annual tradition, is coming soon to all three North Carolina Aquariums for the 14th year! Grab your costume and your family to explore the aquarium for spooky good times. Enjoy Halloween games and magic shows. Behind every corner, guests will encounter a surprise, like a live animal encounter or face painting – even scary divers swimming among the sharks to get the adrenaline pumping. Local merchants, also costumed for the event, will pass out treats to trick-or-treaters. Children must be accompanied by an adult. Adults – NO MASKS, please! When: Oct. 24 and 25; 6:00 to 8:00 p.m. When: Oct. 29 and 30; 4:30 to 7:30 p.m. When: Oct. 25, 26 and 27; 4:30 to 8:00 p.m. When: Friday, Oct. 26; 9:30 a.m. to 4:00 p.m. Educator CC King, of the N.C. Wildlife Resources Commission, will lead activities for formal and informal educators interested in teaching kids about birds and birding and the importance of wildlife. 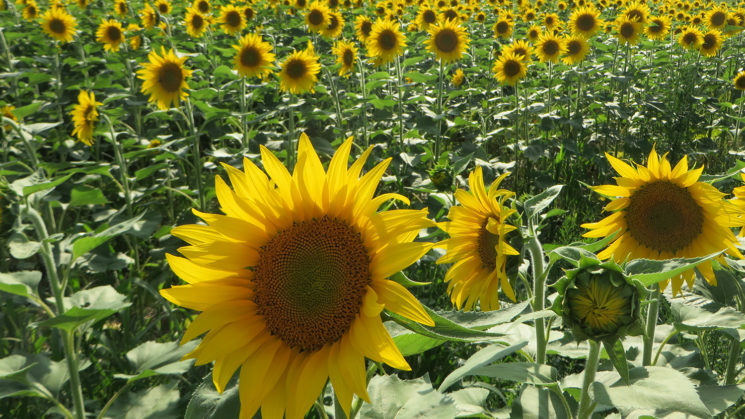 Receive a curriculum, credit towards the N.C. Environmental Education Certification, and CEUs. To register or to learn more, e-mail melanie.buckingham@greensboro-nc.gov. Project WET (Water Education for Teachers) is an interdisciplinary water education program intended to supplement a school’s existing curriculum. The goal of Project WET is to facilitate and promote the awareness, appreciation, knowledge and stewardship of water resources through the development and dissemination of classroom-ready teaching aids, and through the establishment of state-sponsored Project WET programs. Project WET offers educator activity guides and modules designed for K-12. By using Project WET services and resource materials, young people will gain the knowledge, skill and commitment needed to make informed decisions about water resource uses and conservation. This workshop has a $21 fee but is FREE to the first 10 formal educators to register and will include curriculum guides and other handouts. 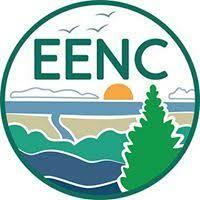 Earn credit towards the N.C. Environmental Education Certification Criteria 1 or CEUs. Workshop is limited to 20 people. When: Thursday, Nov. 1; 9:00 a.m. to 4:00 p.m. When: Saturday, Nov. 3; 9:00 a.m. to 3:30 p.m. This six-hour workshop, facilitated by Tammi Remsburg and Chelsea Sloggy, will introduce environmental educators, K-12 teachers, and field trip leaders to the wondrous world of water through hands-on activities and lessons. Participants will take home the Project WET curriculum and additional water education materials. Up to 10 Criteria I credit hours can be earned for N.C. EE certification; CEUs are available for teachers. Registration is required to attend. When: Thursday, Nov. 15; 12:00 to 4:00 p.m. 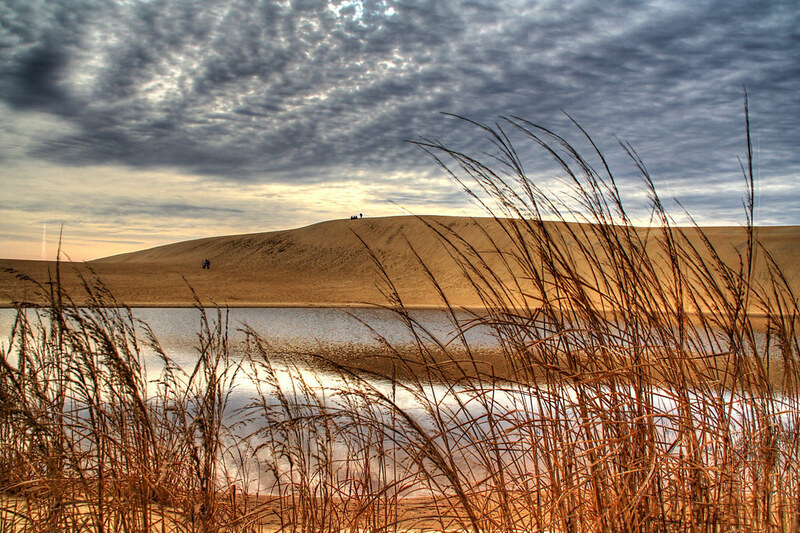 Learn more about several citizen science projects at Jockey’s Ridge State Park. This event will offer an overview of all collected data, as well as additional data available for use with environmental education programming. Projects include: King Tides, CoCoRaHS, Candid Critters, iNaturalist and Project BudBurst. The four hours will count towards Criteria II of the N.C. EE Certification Program. Information on additional EE programs is available here. Open to all interested educators (ages 18 and older) — including classroom teachers, environmental educators, resource agency staff, park personnel, college students and faculty, and youth leaders — this six-hour workshop introduces participants to the free Aquatic WILD K-12 educator guide. The program, facilitated by N.C. Wildlife Resources educator CC King, uses hands-on field techniques to help participants explore, understand and share the fascinating world of water and its aquatic habitats. This workshop counts as a Criteria I workshop in the N.C. EE Certification program and for N.C. EE continuing education hours. There are no fees, but pre-registration is required by Nov. 14. Please bring a bagged lunch and be dressed for outdoor activities. To register, call 336-883-8531 or email carrie.council@highpointnc.gov. Or go online. Immerse yourself in the rich marine, island and mainland ecosystems of Baja California, Mexico, from July 29 – Aug. 7, 2019. Connect with nature to energize your learning for the next school year, and delve into resources that will connect your students with the ocean. Both formal and informal educators are welcome. Explore Bahia de los Angeles in the San Felipe Desert from both water and land. Snorkel the turquoise waters, rich with sea life. Swim with whale sharks and sea lions in the Sea of Cortez. Discover the UNESCO-designated World Heritage Site, a priority conservation area, and its extraordinary diversity of marine organisms. Conservation is a key component of this trip, and participants will be engaged with a conservation project in the field. Required travel insurance not included. A $250 non-refundable deposit is necessary to reserve a spot. Contact Gail Lemiec at 910-772-0546 or gail.lemiec@ncaquariums.com with questions. This fall, students around New Hanover County will have an opportunity to learn about the Cape Fear River Basin without leaving their classrooms. A new program, Watershed Walkabout: Cape Fear, introduces fun and interactive lessons to classroom children ages 5 through 18. This program is part of a new business in town, Marine CSI: Coastal Science Investigations. Marine CSI is run by Kimberly Belfer, owner and director of education, and began as a collection of teacher resources for K-8 and high school educators. Kimberly has had the opportunity to present sample lessons at several national, regional and local conferences, including Environmental Educators of North Carolina. As a certified environmental educator, she is bringing her wealth of knowledge to this new program, providing 28 hands-on lessons available throughout the school year. Teachers are encouraged to contact her through the website or by email to schedule full-day lessons. Each lesson can be taught to up to five classes in one day. For more information on specific lessons, teachers are directed to the Watershed Walkabout: Cape Fear program page on Marine CSI’s website. Marine CSI is located at 3808 River Front Place, Unit 203, Wilmington, NC. 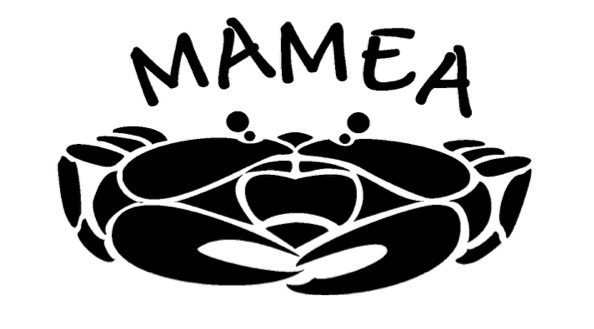 To schedule a program or for more information, contact Kimberly at education@teachmarinecsi.com or 910-599-7324. There are many conferences scheduled for this year. Join your fellow marine educators and beach lovers at one — or more — of these great events. 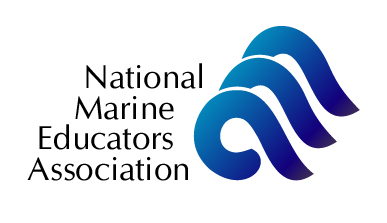 If you ever have information to share with other marine educators, please don’t hesitate to send it my way for inclusion in a future issue of the Scotch Bonnet. Let me know what you’re hearing from the sea! Please share this website or newsletter with others — and share my email address with anyone who wants to receive a message notifying that a new issue of Scotch Bonnet is available online. Thanks for all you do for students and for other educators!